Died: 12th April 1916; age 24; Died of Wounds – Lahore British General Hospital, Calais, after being severely wounded in the trenches. Residence: 147, Cemetery Road, Ipswich. Employed: at Messrs. Wrinch & Sons, Ipswich. 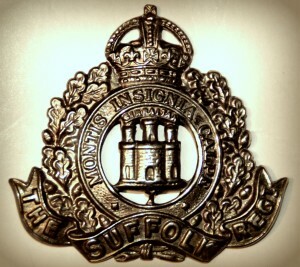 Regiment: Suffolk Regiment, ‘D’ Company, 1st/4th Battalion. Plot C. Row 2. Grave 11. 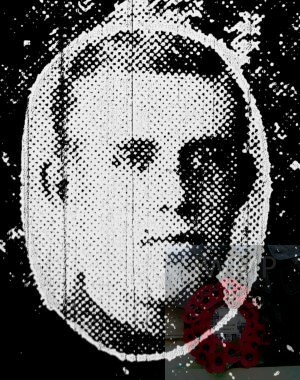 Relatives Notified and Address: Son of George Henry and Agnes Cook, of 147, Cemetery Road, Ipswich. 1901 423, Bramford Lane, Ipswich. Percy was 9 years old and living with his parents & brothers. George Henry Cook, 36, a Wheelwright, born Lambeth, Surrey. Charlotte Agnes Cook (nee Manning) 30, born Langham, Suffolk. Henry Gordon Cook, 6, born Ipswich. James Douglas Cook, 4, born Ipswich. Frank Leonard Cook, 2, born Ipswich. 1911 8, Hayhill Road, Ipswich. George Henry, 46, a Wheelwright. Henry, 16, an Apprentice Upholsterer. James, 14, an Errand Boy for a Greengrocer. Frank, 12, at school & a Newsboy. Robert Manning Cook, 9, born Ipswich. Gerald Howard Cook, 8, born Ipswich. Thomas Harold Cook, 5, born Ipswich. Ruby Isabel Cook, 1, born Ipswich. Ivy D. Cook, 2 months, born Ipswich.